Whilst Debrief users have enjoyed VPF and ETOPO reference datasets for vector and raster backdrops (resp) for over 10 years,these have now been superceded by the Open Source Natural Earth dataset. Natural Earth vectored data doesn't come with any styling, so the team employed a very clever professional cartographer (Julie at http://jewelcartografx.com/) to produce a set of themes to apply to the various Natural Earth feature types. 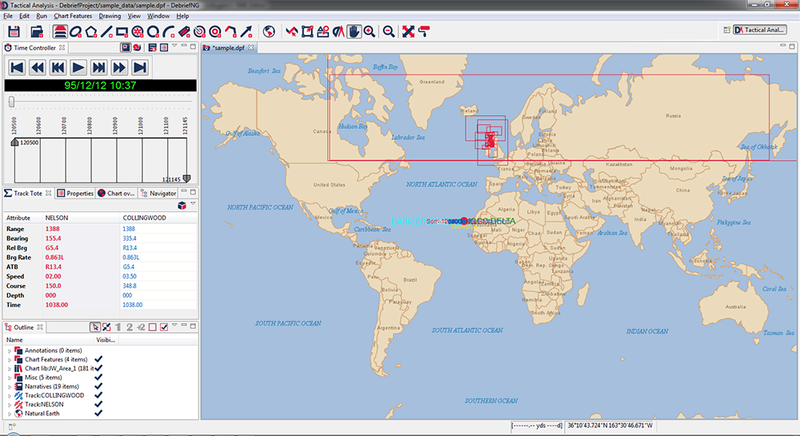 The Natural Earth download size has also be reduced by focussing on a specific set of features of interest to the maritime domain. Lastly, the data-points in this set of data-files have been subtlely trimmed to remove points at the poles, to make them suitable for Debrief's mercator projection. 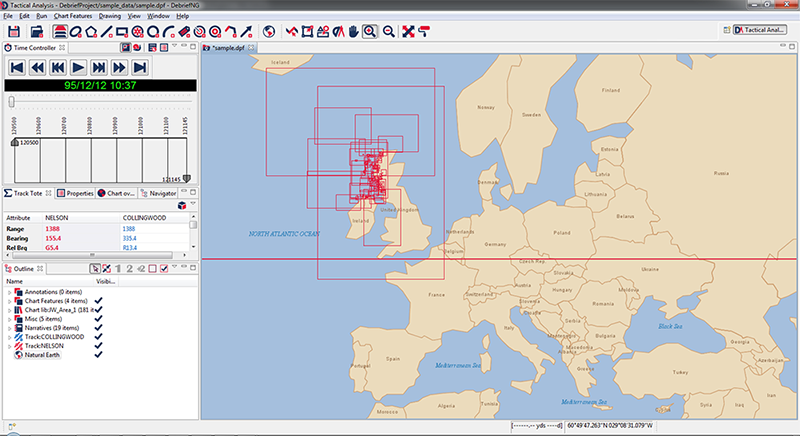 The data-point trimming was performed with the most excellent QGis application (http://qgis.org). The detailed Natural Earth data is around 80Mb in size, so it's too large to include with Debrief. So, only they very highest scale, lowest resolution data is included with Debrief. This gives a world coastline and named countries. If you require more detailed data (which you almost certainly will), just download the more detailed dataset and unpack it on your disk - as detailed below. The customized set of Natural Earth data can be downloaded from this GitHub repository: https://github.com/debrief/NaturalEarth. You don't need to download the individual files, just click on the Download Zip button to the bottom-right of the page. The zip file is about 25Mb. This will download a zip-file of the data (obviously). Once you've downloaded the data, unzip it into a nice safe folder on your system. It should expand to around 80Mb. Ok, you've got the data on your system. Now you need to tell Debrief where it's stored. You do this from Debrief's Natural Earth preferences page. So, go into Window/Preferences and the dialog will open. 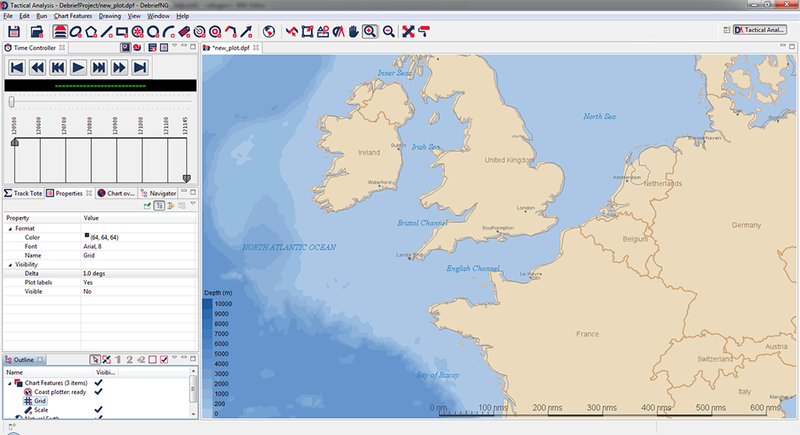 Then select Natural Earth from beneath Maritime Analysis. In that form, just browse to the unzipped Natural Earth folder. The Natural Earth layer doesn't have any configurable properties - all of that has been done for you already.